A nation state (or nation-state) is a state in which the great majority shares the same culture and is conscious of it. The nation state is an ideal in which cultural boundaries match up with political ones. According to one definition, "a nation state is a sovereign state of which most of its subjects are united also by factors which defined a nation such as language or common descent." It is a more precise concept than " country", since a country does not need to have a predominant ethnic group. 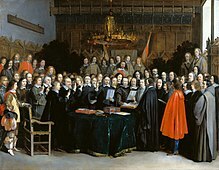 In Europe, during the 18th century, the classic non-national states were the multiethnic empires, the Austrian Empire, Kingdom of France, Kingdom of Hungary,  the Russian Empire, the Ottoman Empire, the British Empire and smaller nations at what would now be called sub-state level. The multi-ethnic empire was an absolute monarchy ruled by a king, emperor or sultan. The population belonged to many ethnic groups, and they spoke many languages. The empire was dominated by one ethnic group, and their language was usually the language of public administration. The ruling dynasty was usually, but not always, from that group. This type of state is not specifically European: such empires existed on all continents, except Australia and Antarctica. In the Muslim world, immediately after Muhammad's death in 632, Caliphates were established. Caliphates were Islamic states under the leadership of a religious successor to the Islamic prophet Muhammad. These polities developed into multi-ethnic trans-national empires. The Ottoman sultan, Selim I (1512–1520) reclaimed the title of caliph, which had been in dispute and asserted by a diversity of rulers and "shadow caliphs" in the centuries of the Abbasid- Mamluk Caliphate since the Mongols' sacking of Baghdad and the killing of the last Abbasid Caliph in Baghdad, Iraq 1258. The Ottoman Caliphate as an office of the Ottoman Empire was abolished under Mustafa Kemal Atatürk in 1924 as part of Atatürk's Reforms. Egypt: The vast majority of Egypt's population consists of ethnic Egyptians at about 99% of the population, with the remainder consisting of a few small ethnic minorities, as well as refugees or asylum seekers. Modern Egyptian identity is closely tied to the geography of Egypt and its long history; its development over the centuries saw overlapping or conflicting ideologies. Though today an Arab people, that aspect constitutes for Egyptians a cultural dimension of their identity, not a necessary attribute of or prop for their national political being. Today most Egyptians see themselves, their history, culture and language ( the Egyptian variant of Arabic) as specifically Egyptian and at the same time as part of the Arab world. Japan: Japan is also traditionally seen as an example of a nation state and also the largest of the nation states, with population in excess of 120 million. It should be noted that Japan has a small number of minorities such as Ryūkyū peoples, Koreans and Chinese, and on the northern island of Hokkaidō, the indigenous Ainu minority. However, they are either numerically insignificant (Ainu), their difference is not as pronounced (though Ryukyuan culture is closely related to Japanese culture, it is nonetheless distinctive in that it historically received much more influence from China and has separate political and nonpolitical and religious traditions) or well assimilated ( Zainichi population is collapsing due to assimilation/naturalisation). Poland: After World War II, with the genocide of the Jews by the invading German Nazis during the Holocaust, the expulsion of Germans after World War II and the loss of eastern territories ( Kresy), 96.7% of the people of Poland claim Polish nationality, while 97.8% declare that they speak Polish at home (Census 2002. [ citation needed]). Portugal: Although surrounded by other lands and people, the Portuguese nation has occupied the same territory since the romanization or latinization of the native population during the Roman era. The modern Portuguese nation is a very old amalgam of formerly distinct historical populations that passed through and settled in the territory of modern Portugal: native Iberian peoples, Celts, ancient Mediterraneans ( Greeks, Phoenicians, Romans, Jews), invading Germanic peoples like the Suebi and the Visigoths, and Muslim Arabs and Berbers. Most Berber/Arab people and the Jews were expelled from the Iberian Peninsula during the Reconquista and the repopulation by Christians. After World War II in the Josip Broz Tito era, nationalism was appealed to for uniting South Slav peoples. 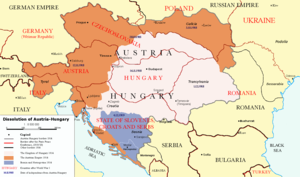 Later in the 20th century, after the break-up of the Soviet Union, leaders appealed to ancient ethnic feuds or tensions that ignited conflict between the Serbs, Croats and Slovenes, as well as Bosniaks, Montenegrins and Macedonians, eventually breaking up the long collaboration of peoples. Ethnic cleansing was carried out in the Balkans, resulting in the destruction of the formerly socialist republic and producing the civil wars in Bosnia and Herzegovina in 1992–95, resulting in mass population displacements and segregation that radically altered what was once a highly diverse and intermixed ethnic makeup of the region. 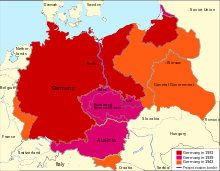 These conflicts were largely about creating a new political framework of states, each of which would be ethnically and politically homogeneous. Serbs, Croats and Bosniaks insisted they were ethnically distinct although many communities had a long history of intermarriage. Presently Slovenia (89% Slovene), Croatia (90.4% Croat)  and Serbia (83% Serb) could be classified as nation states per se, whereas Macedonia (66% Macedonian), Montenegro (42% Montenegrin) and Bosnia and Herzegovina (50.1% Bosniak) are multinational states. 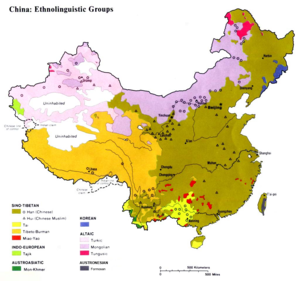 China covers a large geographic area and uses the concept of " Zhonghua minzu" or Chinese nationality, in the sense of ethnic groups, but it also officially recognizes the majority Han ethnic group which accounts for over 90% of the population, and no fewer than 55 ethnic national minorities. According to Philip G. Roeder, Moldova is an example of a Soviet era "segment-state" ( Moldavian SSR), where the "nation-state project of the segment-state trumped the nation-state project of prior statehood. In Moldova, despite strong agitation from university faculty and students for reunification with Romania, the nation-state project forged within the Moldavian SSR trumped the project for a return to the interwar nation-state project of Greater Romania." See Controversy over linguistic and ethnic identity in Moldova for further details. It has been speculated by both proponents of globalization and various science fiction writers that the concept of a nation state may disappear with the ever-increasing interconnectedness of the world. Such ideas are sometimes expressed around concepts of a world government. Another possibility is a societal collapse and move into communal anarchy or zero world government, in which nation states no longer exist. The theory of the clash of civilizations lies in direct contrast to cosmopolitan theories about an ever more-connected world that no longer requires nation states. According to political scientist Samuel P. Huntington, people's cultural and religious identities will be the primary source of conflict in the post– Cold War world. The theory was originally formulated in a 1992 lecture  at the American Enterprise Institute, which was then developed in a 1993 Foreign Affairs article titled "The Clash of Civilizations? ",  in response to Francis Fukuyama's 1992 book, The End of History and the Last Man. Huntington later expanded his thesis in a 1996 book The Clash of Civilizations and the Remaking of World Order. Huntington began his thinking by surveying the diverse theories about the nature of global politics in the post– Cold War period. Some theorists and writers argued that human rights, liberal democracy and capitalist free market economics had become the only remaining ideological alternative for nations in the post–Cold War world. Specifically, Francis Fukuyama, in The End of History and the Last Man, argued that the world had reached a Hegelian "end of history". ^ Tishkov, Valery (2000). "Forget the 'nation': post-nationalist understanding of nationalism". Ethnic and Racial Studies. 23 (4): 625–650 [p. 627]. doi: 10.1080/01419870050033658. ^ Connor, Walker (1978). "A Nation is a Nation, is a State, is an Ethnic Group, is a...". Ethnic and Racial Studies. 1 (4): 377–400. doi: 10.1080/01419870.1978.9993240. ^ Melman, Billie (1991). "Claiming the Nation's Past: The Invention of an Anglo-Saxon Tradition". Journal of Contemporary History. 26 (3/4): 575–595. doi: 10.1177/002200949102600312. JSTOR 260661. ^ Hughes, Christopher (1999). "Robert Stone Nation-Building and Curriculum Reform in Hong Kong and Taiwan". China Quarterly. 160: 977–991. doi: 10.1017/s0305741000001405. 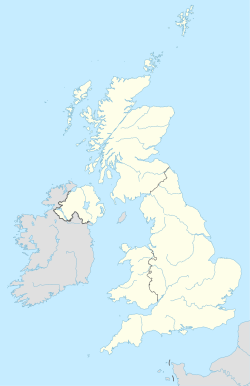 ^ "The United Kingdom as a Union State". 2006. doi: 10.1093/0199258201.003.0001.